Read Notes On Music For A 21st Century Baroque, an essay by the composer (in preparation). Gregory Hall (b. 1959). I became a composer at the age of fifteen, after about five years of musical training as a pianist. After swimming around in something like romanticism, I became interested in neoclassicism during my stay at UC Santa Barbara, where I received my B.A. in music. Two years later, it was neoclassicism and atonality at the Curtis Institute in Philadelphia, where I studied with Ned Rorem. After moving up to Bangor, ME, I seem to be gravitating towards compositions which incorporate elements of all these "styles," seen through an increasingly minimalist lens. Another significant "stylistic trait" seems to be an obsession with the interval of the third. 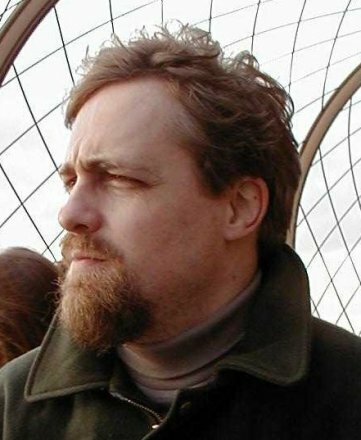 I am presently Vice-Presiden of the Maine Composer's Forum (an outgrowth of the Vermont Composer's Consortium), and have had a major hand in organizing concerts since the Forum's inception in 1990. 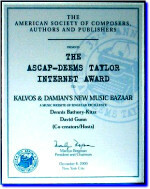 I have recieved commissions from the MTNA, etc., and have had works played at numerous festivals (American Composer's Alliance, SCI, SEAMUS, Bowdoin College Gamper Festival). My MAX algorithm 21st Century Baroque has appeared on the MAX list CD, an internationally distributed CD-ROM. Recent works include Polytriad, a 10-minute work for large symphony orchestra containing some extremely tall chords; Water: Two poems of W.S. Merwin, a work for chamber ensemble and high voice following the tenets of "21st Century Baroque" music, the first movement of which was performed at a 1996 Maine Composer's Forum concert, and For Graham Fitkin, a large-scale, sonorous piano work. During the last two years I have inadvertently stumbled into the worId of electro-acoustic music thanks to the MAX programming language: new sections from my algorithm 21st Century Baroque now appear regularly on http://www.mp3.com/greghall. Several works (Polytriad (originally entitled "Polypiano"), Cthulhoid, Polyphase) employ the interval of the stacked third to a great degree. 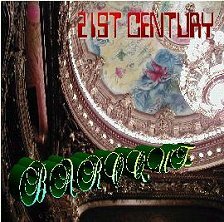 CD Cover, "21st Century Baroque"